To provide a fun, safe and committed environment that allows figure skaters of all ages and abilities to practice, improve and display their skills through individual and team skating instruction, exhibitions, ice shows and competitions. 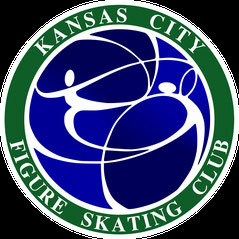 Founded in 1937, the Kansas City Figure Skating Club (KCFSC) is one of the oldest clubs in the metropolitan area. Its charter was established in the mid 1970's, when the new Fox Hill Ice Arena (located in Overland Park, KS) opened and became the club's official home ice rink. Although Fox Hill closed in the mid-1980's, the KCFSC was still active, and eventually used the Crown Center Ice Terrace as their home rink. In 1995, Ice Sports (formerly called The Rinks) opened its doors in Shawnee, Kansas, and served as the club's home for several years. A move was made to AMF Ice Chateau in Overland Park, KS in the fall of 2004 and the club remained there until its closure in June of 2007. The club has now returned to Ice Sports in Shawnee. In 2010, Ice Sports was renamed KC Ice Center. Our Kansas City Figure Skating Club members train and practice at all the skating rinks in the Kansas City metropolitan area. Every year, KCFSC hosts Skate Kansas City, one of the largest skating competitions in the area, with clubs represented from the region as well as from the east and west coasts. 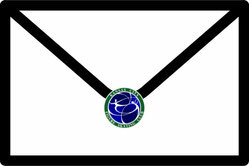 For more information regarding the Kansas City Figure Skating Club, please contact any of our current board members, or leave a message at our e-mail at kcfsc@hotmail.com.